​You ask and we deliver. Exterior badge made for marine use. Each laser cut badge is made with a Chrome Chromax base that is laminated with waterproof Avery Dennison FM2454 adhesive - Commonly used in automotive & marine applications for it's superior bonding capabilities in high moisture environments. 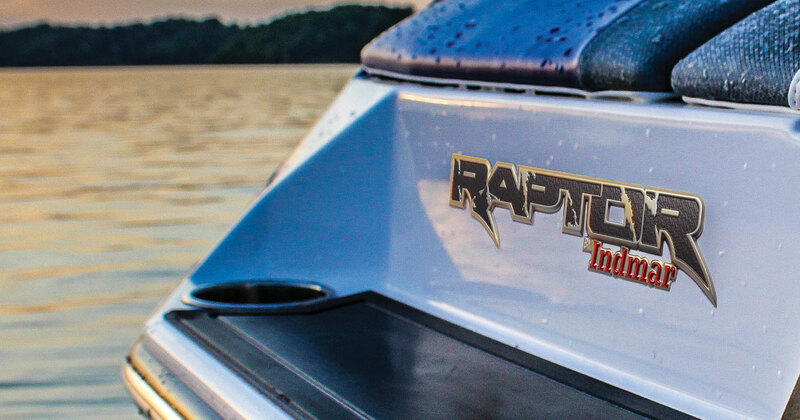 ​Show off what's inside of your boat with a Raptor by Indmar exterior badge. Part number and pricing below. ​Each badge is illuminated with ORA Lucents™ and has the ability to change colors to the beat of your music. 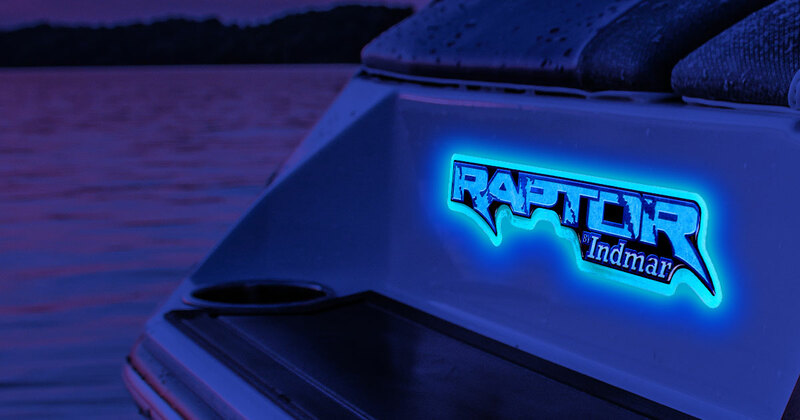 Show off what’s inside your boat day or night with the Raptor by Indmar LED exterior badge. Part number and pricing below. Kit Cooler Drain Extension that will convert the drain to the current style drain whip that has the drain plug on the end of a hose for ease of access. ​Part number and pricing below. Salt-Away is a water-based, non-hazardous, biodegradable solution and contains properties that dissolve, release and remove salt crystals from any surface. Water alone does not remove all the salt from a surface. We are sure you have noticed by now that we have replaced most of the hose clamps on the 6.2L Ford based engines with single use Oetiker clamps. The new clamps, when properly installed, provide an even clamping force around the hose and a much more secure connection that reduces leaks and the possibility of hoses blowing off. In locations where the hose may have to be removed to facilitate draining/winterization, we have continued to install conventional worm gear style hose clamps. If you do have to remove an Oetiker clamp to replace a hose or other component, the required procedure is to use an Oetiker clamp to complete the repair. If you use a conventional hose clamp instead of an Oetiker clamp you are accepting the responsibility of the security of that connection. If the hose leaks or blows off the fitting after the repair, the responsibility is yours and warranty will be disallowed. Note: The Oetiker clamp sizes are valid only when original equipment Indmar hoses are used. Hoses from another manufacturer may not have the same wall thickness or material as Indmar hoses and the clamping pressure provided by the Oetiker clamp may not be appropriate. The new Raptor Engines has some requirements that deviate from the recommendations that we have made for a number of years. The Naturally aspirated Raptor models require the use of approximately 8 quarts of API SN synthetic blend 5W30 motor oil. The supercharged models require approximately 8 quarts of API SN fully synthetic 15W50 motor oil. The 2017 model Raptor engines use cartridge style oil filter instead of the previous spin-on filters. No more stuck oil filters! 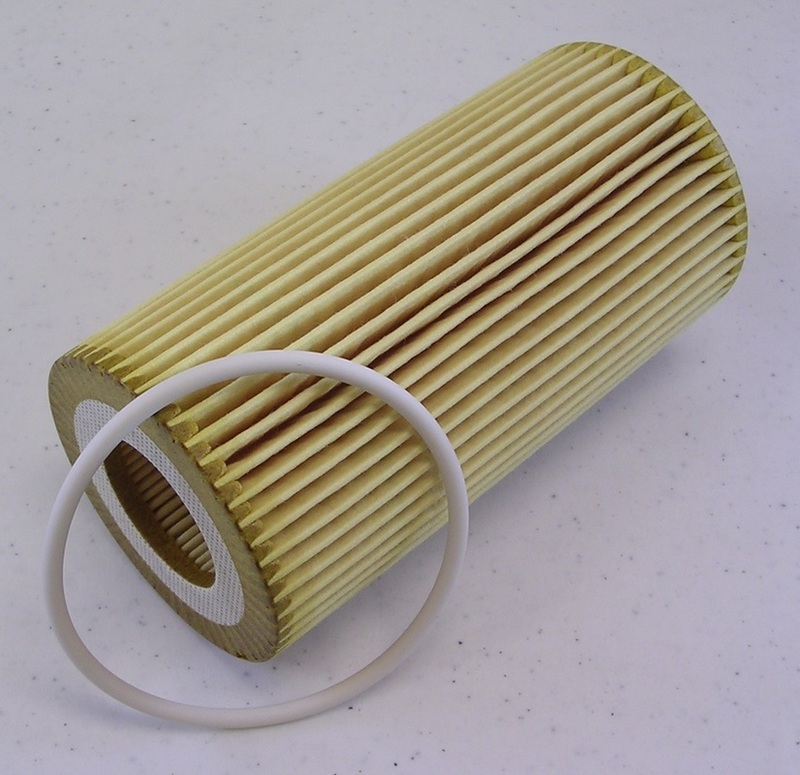 You should drain the oil from the engine before removing the filter so the oil drains from the filter canister and reduces the possibility of making a mess. The new filter comes with a replacement O-ring for the filter cap that should be changed when the filter is changed. The torque for the filter cap is 18.8 foot pounds (25.5 Newton Meters). Don’t overtighten. ​NOTE: This Bulletin Revision corrects the part number for the kit to 495934. If you have the original copy of the bulletin, destroy that copy and replace it with this one. 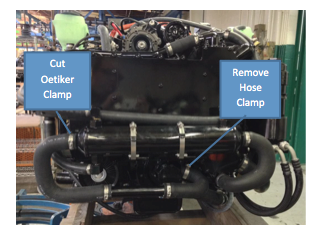 During dealer preparation of a new boat, or when the customer brings the boat in for maintenance or repair services, install the new raw water inlet tube assembly (P/N 495934) to reduce the possibility of the raw water inlet hose blowing off and to simplify draining of the system. Oetiker 1410083 Side-Jaw Ear Clamp Pincers. Indmar P/N 997350. Also available through Amazon.com. Use a side cutting pliers and cut the Oetiker clamp securing the hose to the supercharger heat exchanger. Loosen the hose clamp securing the hose to outlet side of the raw water pump. Remove the hoses and tube from the engine as an assembly. Discard. 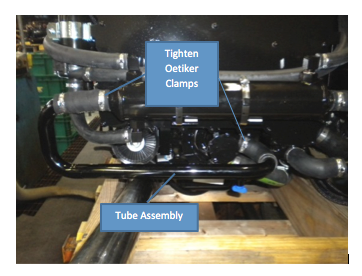 ​Place the Oetiker clamps from the 495934 kit over the ends of the hoses of the tube assembly. Install the tube assembly on the outlet fitting of the supercharger heat exchanger and the inlet fitting of the raw water pump. Position the Oetiker clamps within ¼” of the cut ends of the hoses. Secure the Oetiker clamps with the Oetiker Clamp Pincers. NOTE: The use of Oetiker clamps is required. Dealership assumes all liability if a hose blows off and Oetiker clamps were not used. ​Warranty Flat Rate Code: C-3035 SC575 Water Inlet Tube Install .5 Hr. The first sea strainer with a built-in flush kit system awarded innovation award by the NMMA AND BWI during the Miami International Boat Show. WHAT IS THE STRAINER PRO? ​The Strainer Pro’s space saving design optimizes flow dynamics and since there is one integrated unit instead of two, there are fewer potential leak points. Indmar also added an integrated O-ring to improve sealing capabilities and the units straight axial flow design enables water to flow more freely straight through the strainer and reduces flow loss which provides more water to be utilized by the engines cooling system. ​​Boat builders and consumers can easily and quickly install the technology on almost any inboard marine engine. The inlet fitting can be oriented 360° to best serve the consumers needs. When it’s time to strain and flush the engine, the patent-pending, permanently mounted onboard system flushes the engine easily with just one garden hose connection. The in-line strainer allows for easier basket removal. In addition, the material selection allows for 140° hot water flush for AIS flushing and the clear housing design provides higher visibility and encourages the boat owner in proper usage. 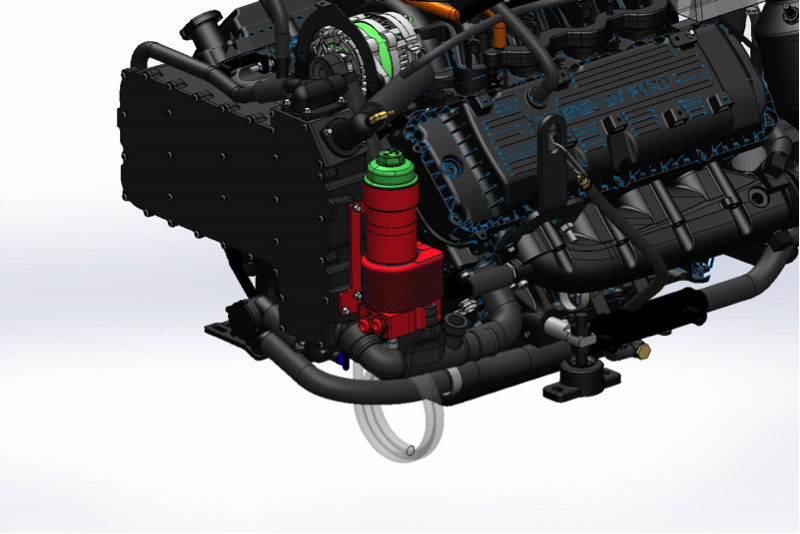 The two-in-one system give’s boat owners the ability to extend the life expectancy of their engine, cleans the entire raw water-cooling circuit and adds protection when operating in lakes with heavy vegetation. 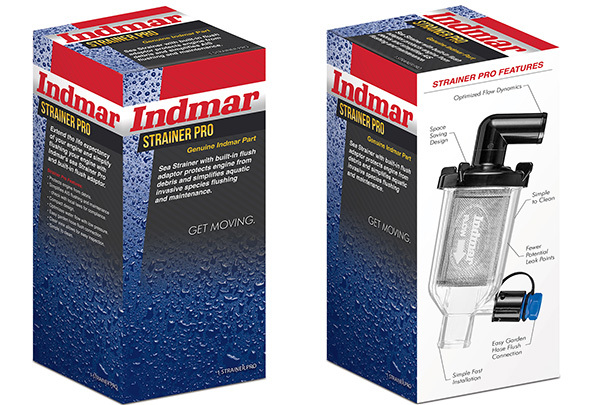 The Strainer Pro is available to Indmar’s boat-building partners and since the Strainer Pro can be oriented 360° and fit’s on almost any inboard marine engine, it is also available to consumers as an aftermarket part. 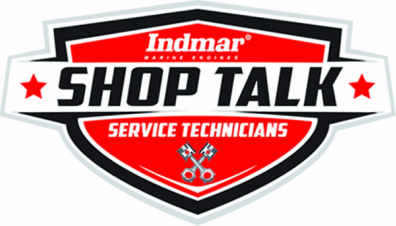 ﻿At the manufacturer level, Indmar’s boat building partners have been able to eliminate parts, which reduces the part numbers that have to be budgeted for, bought and stocked. Their OEM’s have also been able to reduce labor cost for installation. And for the consumer, at aftermarket level, the Strainer Pro has proven to be easier to install (time-savings) and consumers save additional money since they only have to purchase one part instead of two. HOW DO YOU ORDER THE STRAINER PRO? Click here or click on THE "ORDER NOW" button below to log into the dealer portal, then order PART #499003. ​ You must be an Indmar Dealer to order the part. A few of changes in the 2016 Model 6.2L Ford based engines will require some new parts. First, the premium level engines, 400, 440 and 575, will get a new oil filter as a running change. The new filter will be a cartridge-style filter that is easier to get at and replace and more environmentally friendly because it doesn’t have a metal can that has to be crushed and disposed of. Indmar P/N 501022. The premium level 6.2L engines will transition to top mount starters in the 2016 model year. To make the good news even better, these engines will use the same top mount starter that has been standard on all GM Models since the 2011 model year. P/N 573001M. 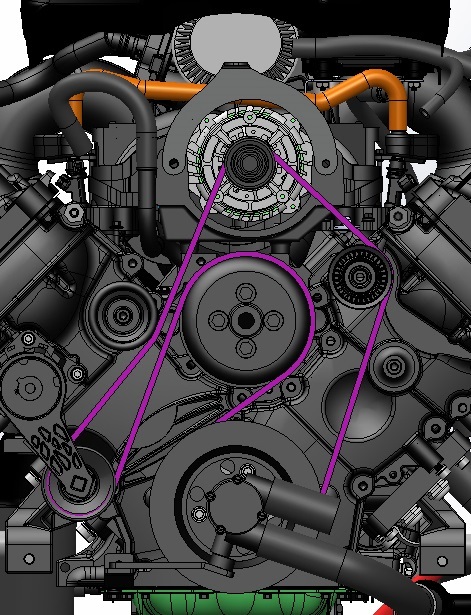 All naturally aspirated 2016 Models will get a new shorter serpentine belt in 2016. The shorter belt is the result of changing the automatic tensioner and eliminating an idler pulley. P/N 725903. 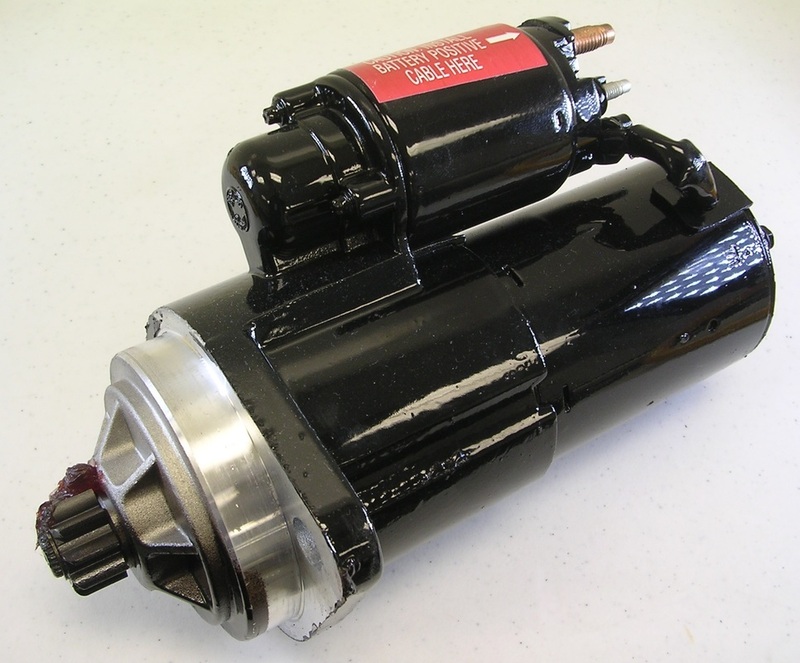 The Indmar-V drive used in most of our applications uses special Synthetic 50 transmission oil. We used to recommend Mobil Delvac Synthetic 50 which was at times hard to locate and very expensive. With the release of our new Indmar Branded lubricants, our own Synthetic 50 is available. P/N 872022 or SP872022 for a three case special.